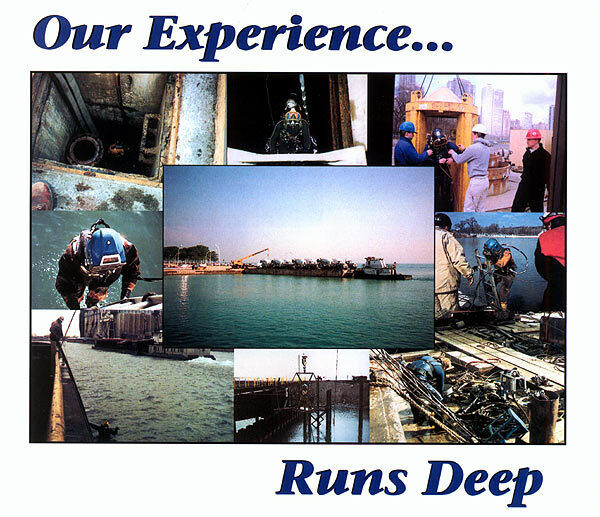 Lindahl Marine Contractors, Inc. is a full-service diving firm, offering underwater inspection, maintenance and repairs, and project evaluation for Power Plants, Steel Mills, Commercial Industries, Municipalities, and Governmental Entities. 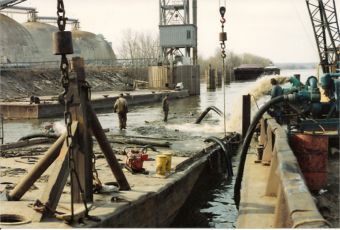 Most engineers are experienced in dry land construction methodology, and unfamiliar with submerged techniques. For this reason, many of our clients find it prudent and often imperative to consult with Lindahl Marine early in the project design phase for method, timing and costing considerations. "With every call out, Lindahl Marine has insured a smooth and safe operation...always to our satisfaction." 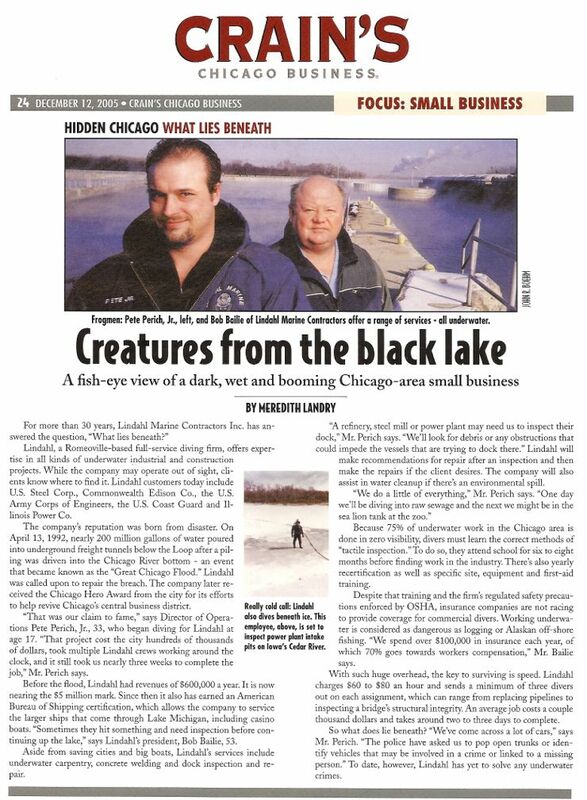 Crain's Chicago Business article featuring Lindahl Marine. 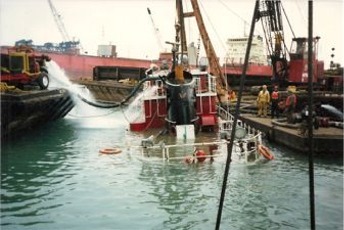 Lindahl Marine has a comprehensive list of references available upon request.